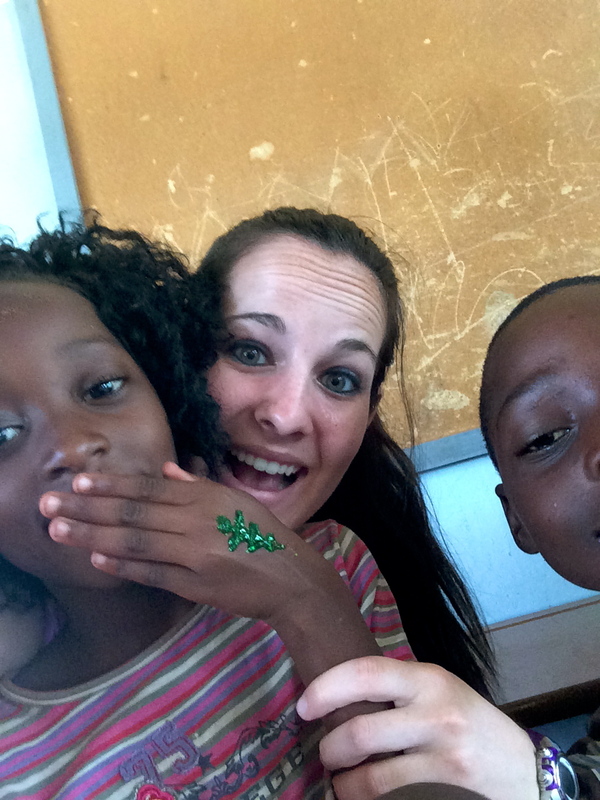 A few months ago I returned from Zambia on a volunteer teaching program. I went there to teach kids in the community. But I came back home with the discovery that not only did I teach them, but they taught me. Many of us are so concerned about having the newest car, the latest technology, or the biggest house. In reality, none of these material things really matter. Not in the way that personal connections and relationships with others matter. I knew my last day of teaching at Holiday Club would be a tough one. Tough in the sense that it was sad to leave the kids and the school when I could already see each of them growing and learning more every day. 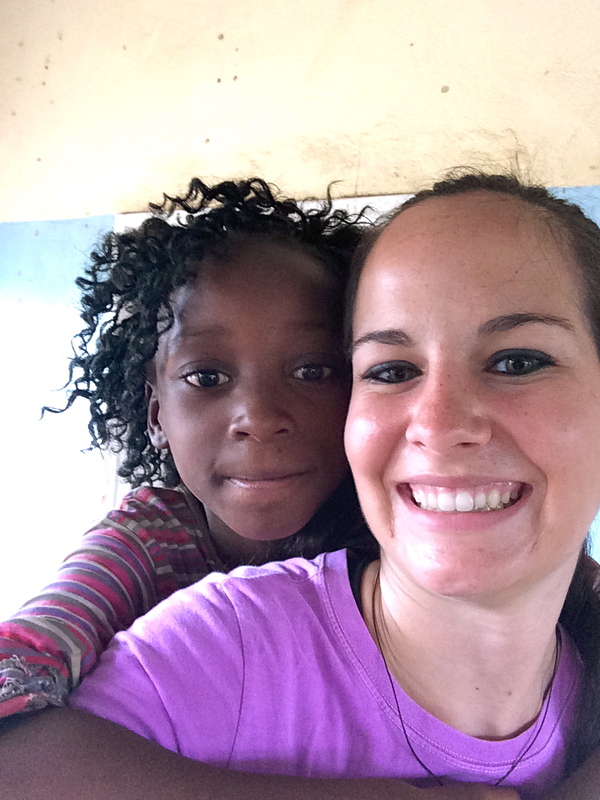 Today I want to share with you a little bit about a girl named Doreen. She was one of the students in the school I was teaching at. By no means was she the best student. She was a big troublemaker and could be a pretty stubborn kid during lessons and when playing outside. But man, that kid had heart. She was very helpful in the classroom and with the other kids when needed. Like many of the other kids, she loved the attention and having time to play and learn at Holiday Club. She would always run up to me to grab my hand and was reluctant to let go. Sometimes she would get shy, but she sure could get fired up when she didn’t like something. My last day teaching, Doreen ran up to me and gave me a special gift (see photo below). At first, I wasn’t sure what it was. But looking closely I realized that the items inside the bag were treasures to her, and may be considered treasures for many others as well. 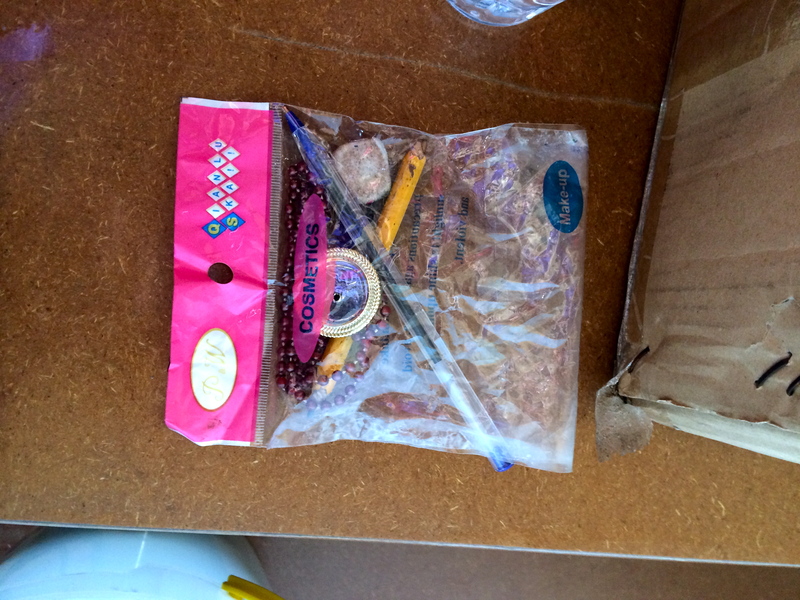 The bag contained a pen, half of a pencil, an eraser stub, a necklace, and a small plastic pin. You might be wondering what’s so special about this stuff. One of the things I noticed right away when I began my volunteer program in Zambia was how thrilled the kids were to color and draw, especially the girls. I realized that they were not used to having resources at their disposal all the time such as pens, paper, crayons, and pencils. It was heartbreaking to see how unbelievably talented writers and artists many of the kids were, and yet they had limited access to the tools that allowed them to use these talents. However, it was encouraging to see the way they learn to make do with what they have despite how little that may be. So hopefully that gives you an idea of how meaningful this gift was for Doreen to give me. Something that may seem like garbage to one person can have significant value for another. I think we can all take away a lesson from Doreen. Regardless of our situation in life we can all find joy in life’s simple pleasures and take the time to give to others. Happiness can be found in the smallest places, sometimes we just have to open our eyes. Knowing what simple pleasures are! Knowing the value in the small things or recognizing the value in everyone can go very far. I admire the author of this blog because the main character didn’t need saving and wasn’t the idea student but had the idea heart. I love post on so many levels. I love that this student wasn’t perfect but her heart was perfect. A nice and touching post. What a touching story…We can always learn from children if we just listen! What a beautiful post. It’s so true, kids can teach you so much. Thanks so much Sammi, it really is amazing the lessons you can learn from such young kids! Thanks for sharing such a thought provoking piece on #SundayTraveler. It can be so easy to forget what really matters in life. What a great lesson your student shared. It is amazing, kids can sometimes surprise us with their actions. Thanks for reading Adelina, I’m glad you enjoyed it! Thank you so much for your kind words Heather. My heart was touched in unimaginable ways when I traveled to Zambia and I hope that others who may not have the same opportunities that I did can gain a small sense of that through by blog. So glad you enjoyed reading! OK, Marissa you’ve just made me cry. Beautiful post, and a valuable life lesson. Thanks for linkibg up to the #SundayTraveler. Hope to see you next Sunday! I’m glad you enjoyed reading, it really was a touching moment. Looking forward to more #SundayTraveler to come! Sometimes the greatest of values can be found in the smallest of things. Touching story. That is very true. Thanks for reading, I’m glad you enjoyed! What a beautiful and heartwarming post! Thank you for sharing this lovely story. It just goes to show that the simplest things given with true intentions can make such huge impacts. Doreen is such a sweet girl! It breaks my heart to read that kids’ potentials are limited by material things my kids take for granted. Thank you for your kind words Mary. It is tough to see the struggles the children face every day, but it was such a blessing to be able to provide them an opportunity to learn and be creative while in the classroom. The little things really do make a difference! Oh my gosh this is so lovely! Some people who don’t have much can sometimes surprise you so much by giving so much more than what they have. It’s inspiring! Well said! Thanks for reading! Thanks Sammy, I’m glad you enjoyed reading! She sounds like a sweet girl! Did you keep the gift or try to give it back? I kept it of course 🙂 I made that mistake before! I tried giving another student her notebook back after she wrote these Christmas songs in it for me. She was so offended that I did want to “accept” her gift, although I thought I was being kind by letting her keep something that obviously meant a lot to her. I felt terrible after I realized what happened! Lesson learned! Beautiful post and beautiful girl. I feel like the best life lessons come from kids! We learned heaps from the kids in Cambodia and it was truly special! Thanks Jenn! The kids taught me so much, and Doreen was extra special. Kids provide the best lessons! My son is 12 and I can’t believe the insight he has at times!! Love you did this article. They sure do! Thanks for stopping by Alexa!